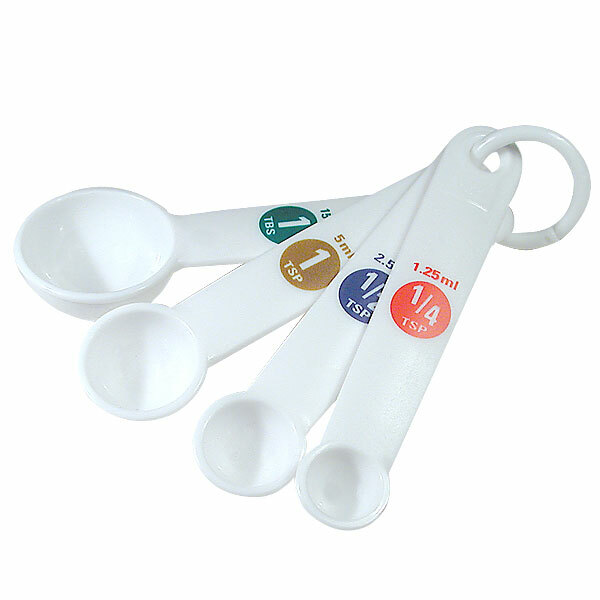 Big Number Measuring Spoons – Talk about convenience in the kitchen, these easy to read visual aid measuring cups make cooking and baking a breeze! E-Z Read numbers approximately 1/2 tall and color-coded for easy identification. 4 pcs. 1/4, 1/2, 1 tsp. and 1 tbsp. Put the joy back into baking with these measuring cups for the visually impaired.